In a move wholly expected given the imminent release of the iPad, Apple updated iTunes to version 9.1 on Tuesday. Although the primary purpose of the update was to bring iPad compatibility to Apple’s jukebox-and-more media application, other changes—both significant and not-so—came along for the ride. Here’s what’s new and changed. Once exclusive to the iPod shuffle, iTunes 9.1 includes a Convert Higher Bit Rate Songs To 128 kbps AAC option that works with all iPods and iPhones (and, likely, iPads). This option can be found by selecting an attached iPhone or iPod in iTunes’ Source list and selecting the Summary tab. This is a useful option for those who like to keep high bit rate, lossless, or uncompressed audio files in their iTunes libraries, but are conscious of the amount of space such files can consume on an iPod, iPhone, or iPad. In the past, those with such concerns would often create two versions of these files—a messy and confusing solution. With this new option enabled, keeping two copies is no longer necessary. Note than the conversion process that must take place when you enable this option increases the time it takes to sync music to an iPod, iPhone, or iPad. 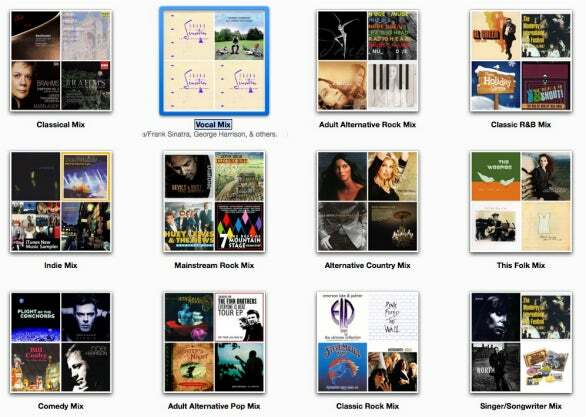 iTunes 9 introduced Genius Mixes, a feature that takes songs that iTunes’ Genius feature believes go nicely together and gathers them into up to 12 playlists. Regrettably, users had very little control over these mixes—you couldn’t delete or rename them, for example. iTunes 9.1 brings a smidgeon of greater control to them. For example, the name of each mix appears below the album artwork for each mix. Click on the name and you can now rename it. You can now rename Genius Mixes. You can also select a Genius Mix and delete it by pressing the Mac’s Delete key or by Control- or right-clicking on the mix and choosing Remove [name of mix]. When you remove a Genius Mix a new one doesn’t spring up in its place. To restore all deleted mixes, Control- or right-click in the Genius Mixes pane or on the Genius Mixes entry in iTunes’ Source list and choose Restore All Mixes. You don’t have the option to restore individual mixes—it’s all or nothing. The Books entry contains ePub e-books as well as audiobooks. 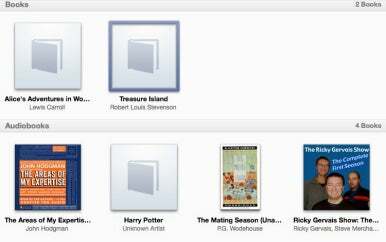 At one time, iTunes’ Source list carried an Audiobooks entry. This has changed to read Books in iTunes 9.1. When you select this entry you’ll see not only any files that have been tagged as audiobooks, but also ePub documents that you’ve added to iTunes—either via iTunes’ iBookstore or by dragging ePub documents into iTunes that you’ve obtained from other sources. Currently there’s no way to read ePub documents within iTunes. Books are also reflected in the tabs that appear when you select a connected iPod or iPhone (and, surely, an iPad). Currently, that tab shows only audiobooks, but presumably it will also display e-books when you select Books with an iPad attached. In the Advanced tab of iTunes’ Preferences you now find a Reset iTunes Store Cache option. The Controls menu now includes commands for raising and lowering iTunes’ volume. The Help menu changes the name of the Welcome To iTunes command to iTunes Tutorials and adds a new iPad Help command (which currently leads nowhere helpful as the iPad Manuals and Service And Support links provide no information). The Show Duplicates command is now called Display Duplicates. The Column Browser has two additions—Group Compilations and Use Album Artists. Applications are now called “Apps” just about everywhere. The Info tab within an iPhone or iPod touch pane has been reorganized to include an Other area that includes Sync Safari Bookmarks and Sync Notes.